Football season is starting NOW! Whenever I watch the game, even as an orthopaedic spine surgeon, I am amazed there are not more injuries. Considering the size and speed of those players, you would think there would be an injury with every play. Sometimes I am asked to consider the bio mechanics of injury. Back when I was an orthopaedic resident, we did have training in the biomechanical stresses to the bones, joints, and ligaments. Engineering concepts and force analysis are necessary in developing our instruments and surgical implants. We all know mass times velocity = momentum. Now imagine the effects of 300+ lbs bodies crashing at full speed, often at awkward angles. I have heard the arguement about how the NFL athlete’s bodies have been conditioned to accept the hits. 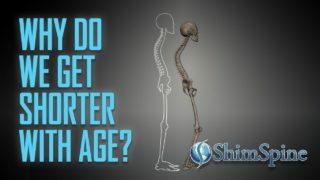 Still, the tissues, ligaments and bones are subject to the rules of physics and biomechanics. Those forces are significant, yet the injury rates are surprising less than what I perceived it to be. In October of 2013, in Spine, Dr. Benjamin Gray published an epidemiology paper titled “Disk Herniations in the National Football League”. It was a retrospective review on all disc herniations to the spine from 2000-2012. The NFL has a surveillance database, and collects information such as location of injury, player position, activity at the time of injury, and playing time lost due to injury. It is great information that can be used in Fantasy Football, only in reverse. To summarize, in those 12 years, there was 275 documented disk herniations. To put matters into perspective, there are 32 teams, with a roster of 53 player each. At any one time, that means a total of 1,696 players per year. Over twelve years, that turns out to having 275 herniations for 20,352 player-years. Now, I know many of the players come back season after season, but there are statistics on the average length of career in the NFL. If you are a rookie making the roster, it is 6 years. But, if you include everyone who shows up for training camp, it is 3.2 years. If we give it the best case scenario, where ever player is rookie that makes the roster, then it means over a 12 year time period, each position will have only 2 players during that time. so the player-years calculation becomes 3,392 player-years. To then calculate the frequency of disk herniations, it would be 275/3392, or about a 8.1 % chance that a player in one season will have a disk herniation. Bear in mind these are my calculations, and not the ones in the study. That is a pretty large number. But, then we need to know what happens to these players after they sustain a documented disk herniation. The data indicates 76% of the HNP’s were located in the lumbar spine, with the most frequent level being L5-S1. Offensive linemen was the most frequent position injured, with the blocking the most frequent activity. On average, there was an approximately 12 game loss ( of a 16 game season) due to HNP’s, but even there the statistics were interesting. If you take the average of all players (including those who permanently left the game after HNP), there is an average of 12 games lost to a HNP . But, if you take the median, in other words, of all the players who had a disk herniation, if you take the player exactly in the middle of the pack of all those with HNP’s, in terms of time off, it was only 2 games. From the players perspective, if you have a disk herniation, at least half of the players returned back to play after missing a maximum of two games. The players who developed the more significant disk herniations skewed the average to a much higher time away from the game. Other studies demonstrates 82% of the players return to play for an average of 3.4 years post injury. And, in terms of management of disk herniations, 80% of players return to play after surgery, while 59% of players treated non-surgically returned to play. 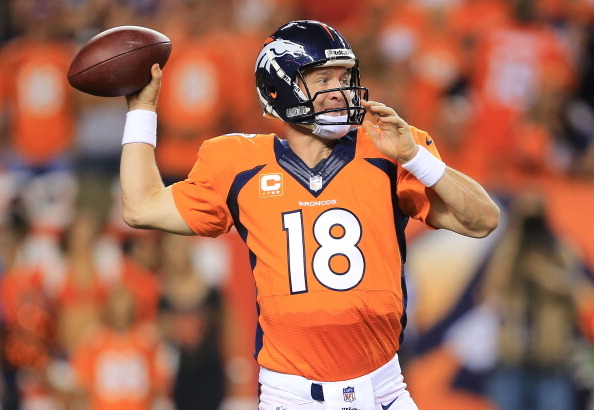 Peyton Manning is a prime example of a player returning to excellence after neck discectomy and fusion surgery. The authors of this epidemiologic studies acknowledge that the diagnosis of disk herniations on MRI studies may in fact be red herrings and may have been asymptomatic of the disk herniation when presenting with pain. 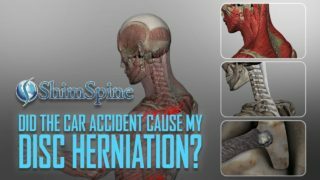 The 275 herniations may not have been acute, or the cause of the pain on initial presentation. The database also did confirm that there is an increased risk of degenerative disk disease in high performance athletes. I will add, that is consistent with the added biomechanical stresses experienced by these athletic activities. But, I find the take home message is that disk herniations occur less commonly than I would think for such activities. Also, it is helpful to know that despite finding disk herniations on NFL athletes, most return back to a high level of competitive activity. It makes you wonder why some people are so debilitated by disk herniations, while others can return back to high levels of activities. There is a non physical component. And yes, I am sure it has to do with compensation (money, fame, ego, etc) and the resulting motivation.